What is the significance of the new Singapore Mediation Convention? Most mediators will tell you enforcement is usually not a problem if the mediation is conducted properly, and the parties understand their obligations under the terms of settlement. However, there is a small percentage of cases where after agreeing, a party may find it difficult to comply with the terms of settlement, and fails or refuses to do so. This is where the ability to enforce a mediated settlement becomes useful. Once enforcement becomes possible under an international Convention, mediation will gain better traction with businesses. How could this change the way the mediation process is used? Yes. The ability to enforce a mediated settlement internationally will encourage parties to come to the mediation table. Mediation will now have “teeth”. Could you tell us some key points regarding the Model Law? UNCITRAL Working Group II on Conciliation recommended that both a Convention and Model Law be proposed. The text for both instruments is similar. Jurisdictions which are new to mediation may opt for a Model Law first, then sign up for the Convention at a later stage. However, for the enforceability issue to be properly addressed, as many countries as possible should become signatories to the Convention. What were the main challenges in drafting, collaborating and being part of this Working Group? UNCITRAL’s Working Group II consisted of representatives from 50 countries. The Working Group was chaired by Singapore, and enjoyed active participation from the US, EU, Canada, Australia, Israel, China, India, Korea, Russia, Mexico, Norway, Finland, Switzerland and many other countries. Many mediation and dispute resolution NGOs, including IMI, were in attendance and provided input. The diversity of the participants, from both common law and civil law jurisdictions. But this made the discussions all the more interesting and richer. Personally, I feel that the Convention will make international mediation so much more useful and attractive for businesses. It will be the next game-changer in the field of international dispute resolution. George Lim was called to the Bar in 1981, and was appointed Senior Counsel in 2010. He was President of the Law Society of Singapore between 1998–99, and currently chairs the Singapore International Mediation Centre. 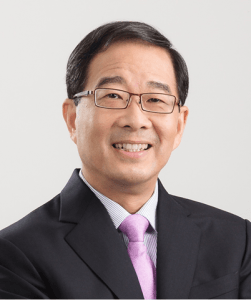 George serves on the Board of the International Mediation Institute and is Singapore’s mediation consultant to UNCITRAL Working Group II on Conciliation. George is the co-editor of Mediation in Singapore: A Practical Guide.